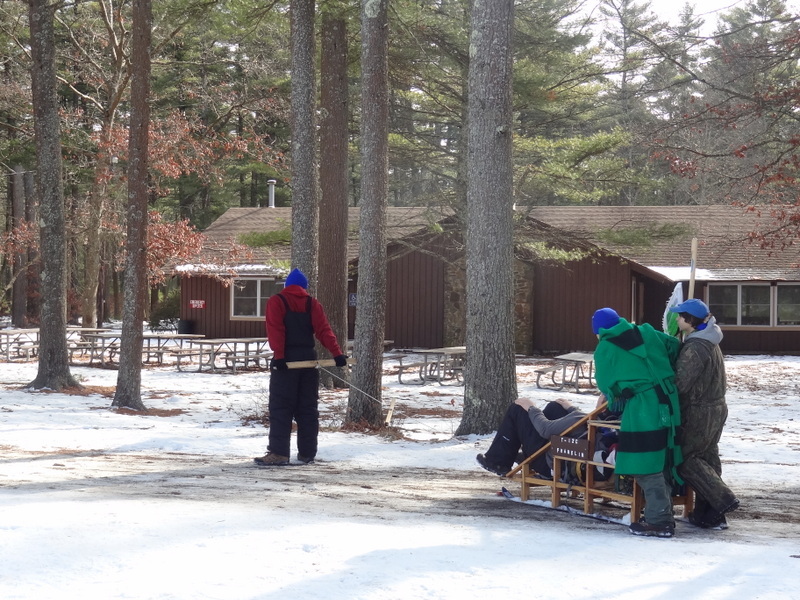 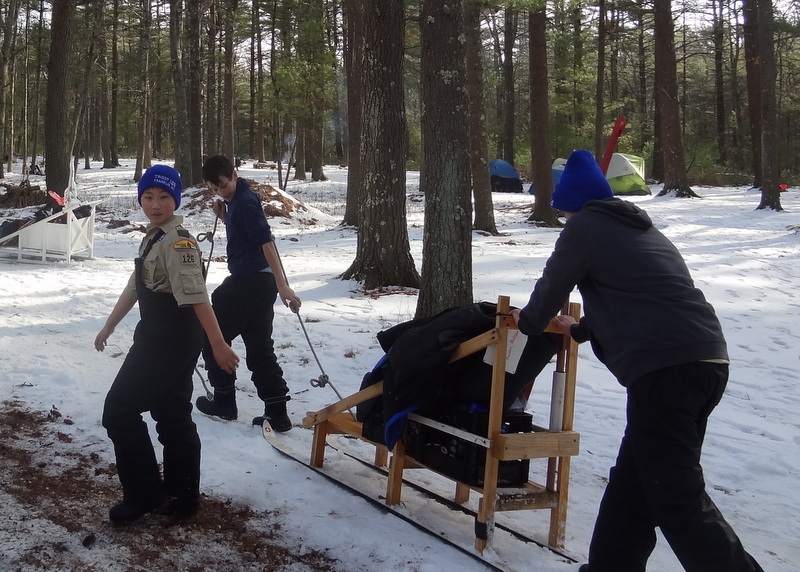 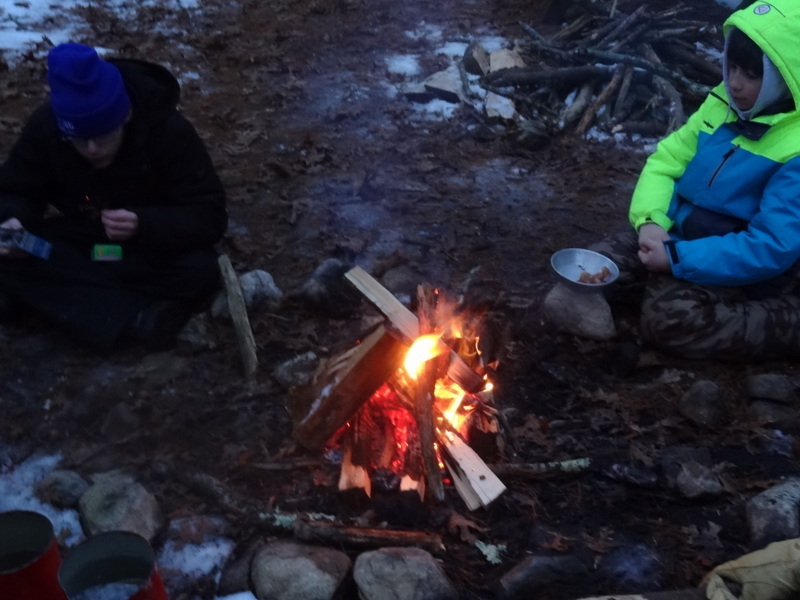 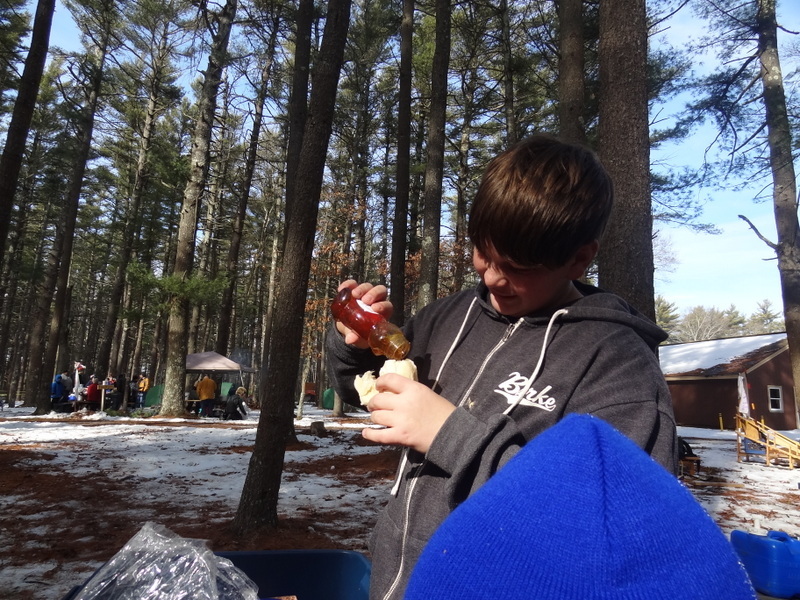 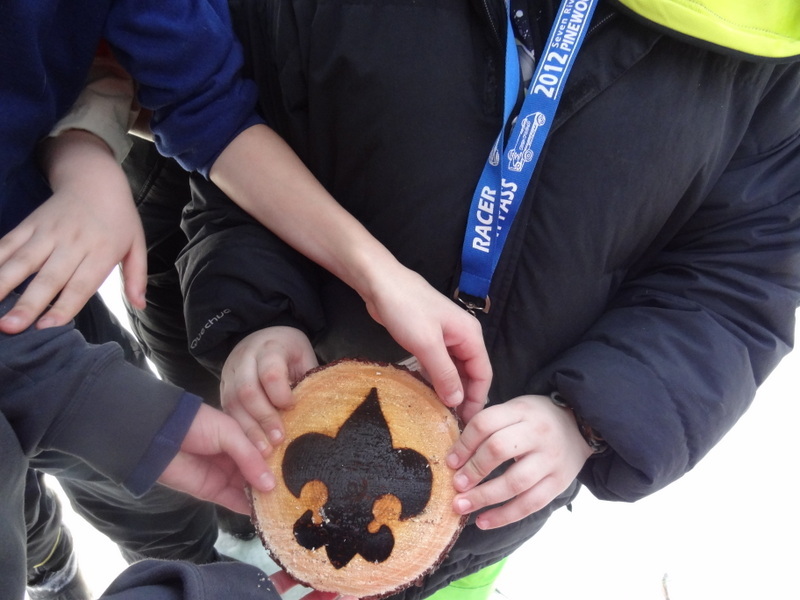 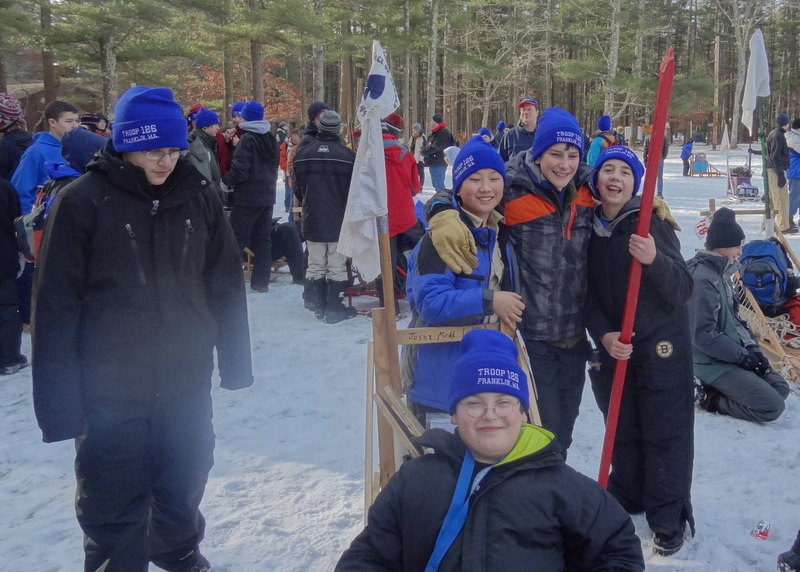 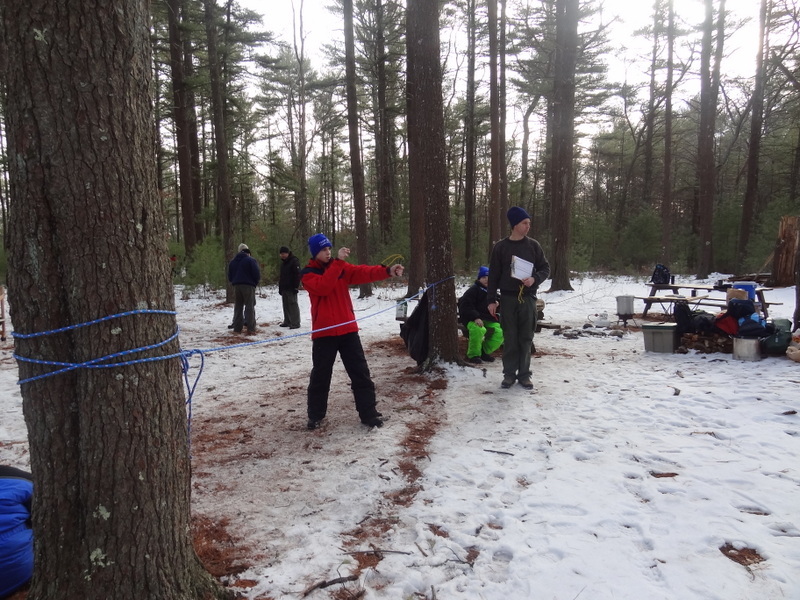 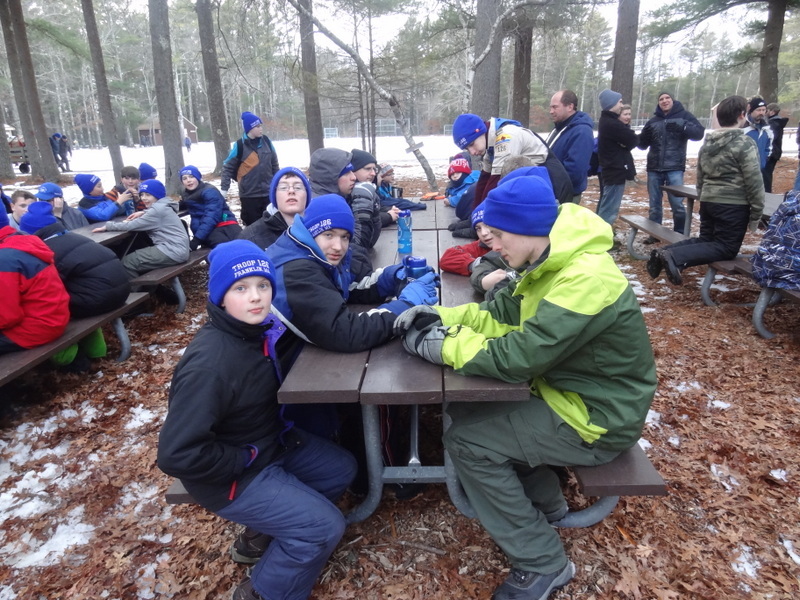 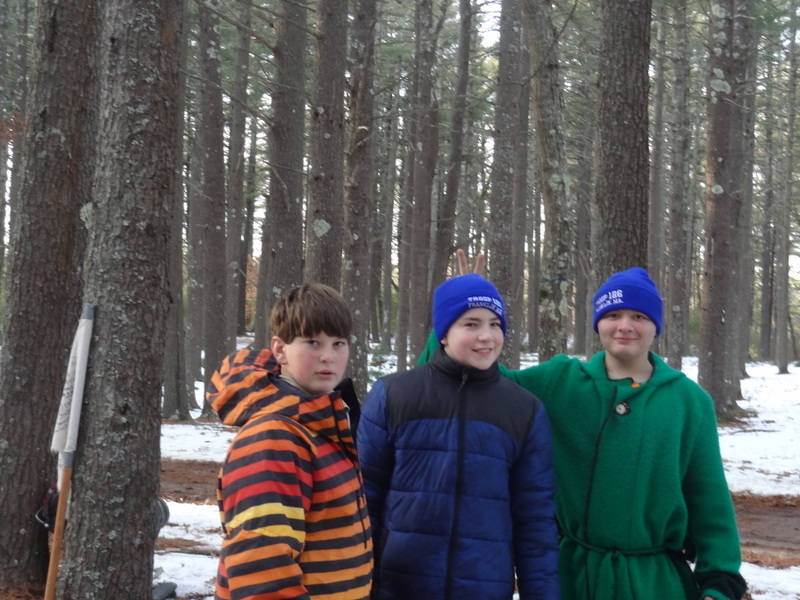 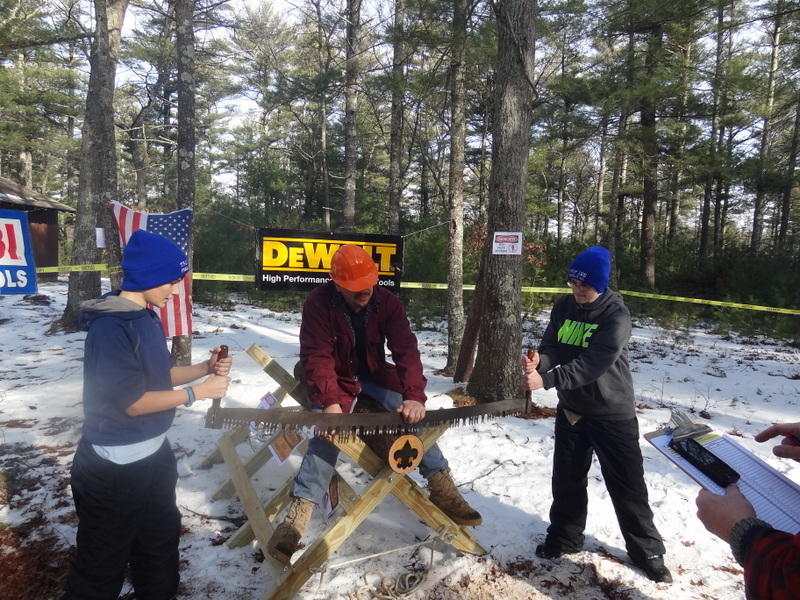 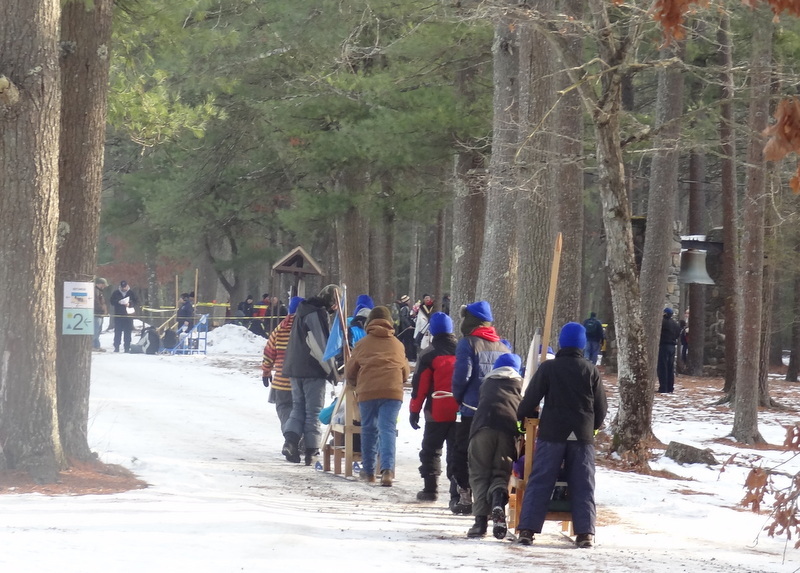 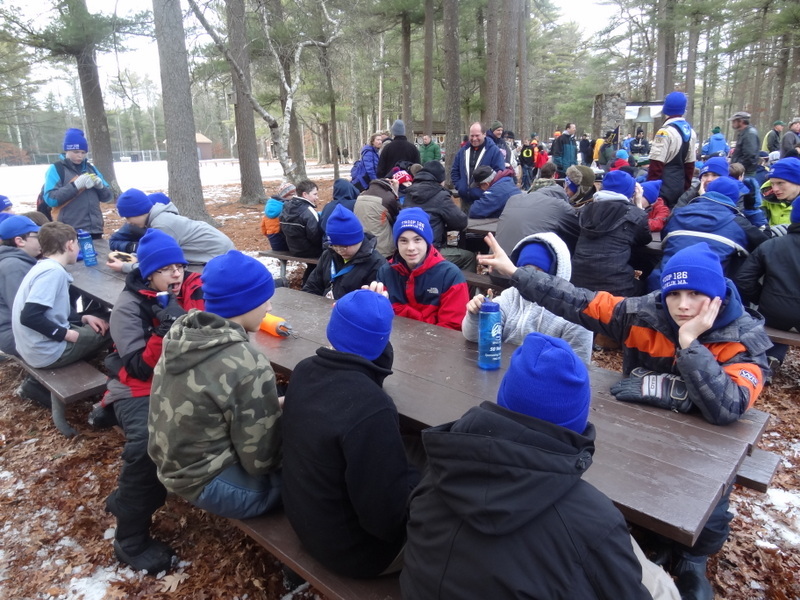 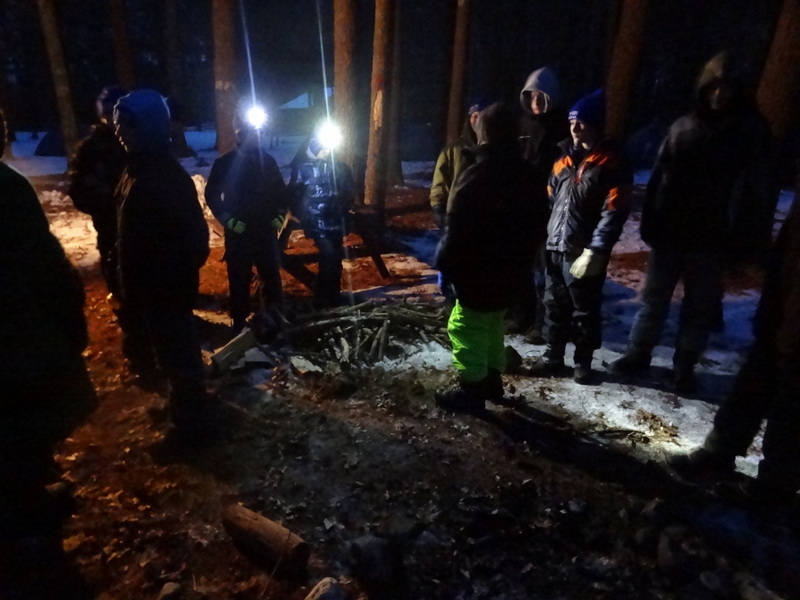 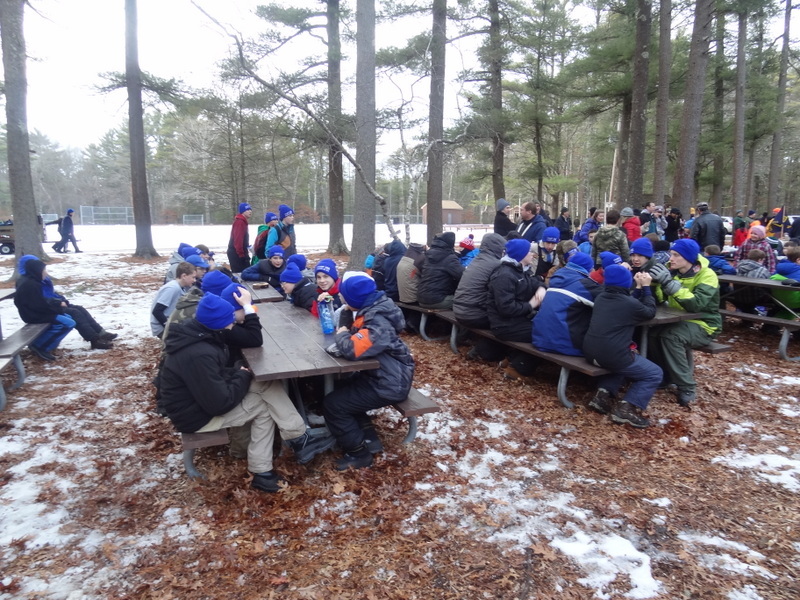 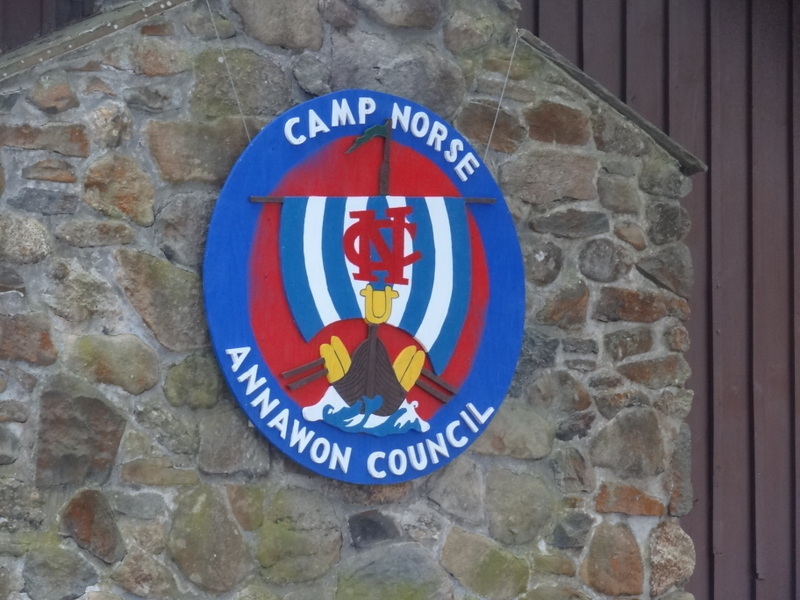 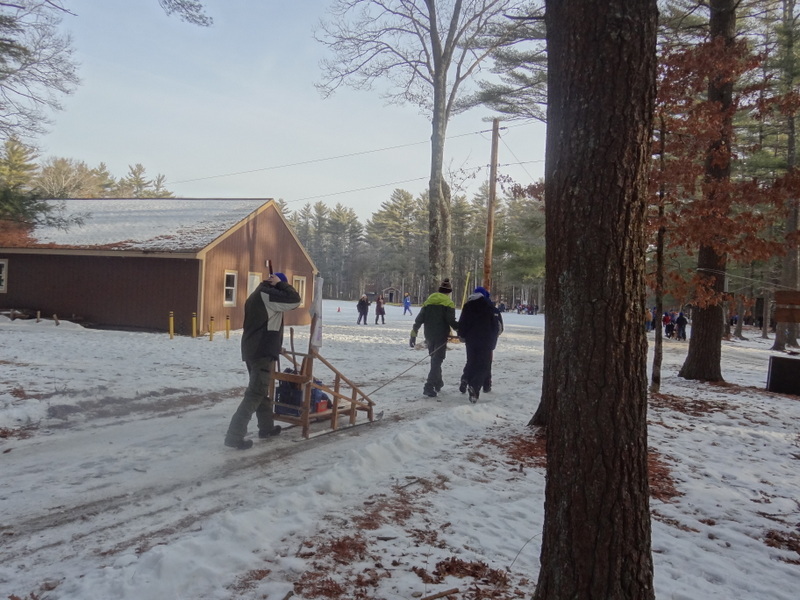 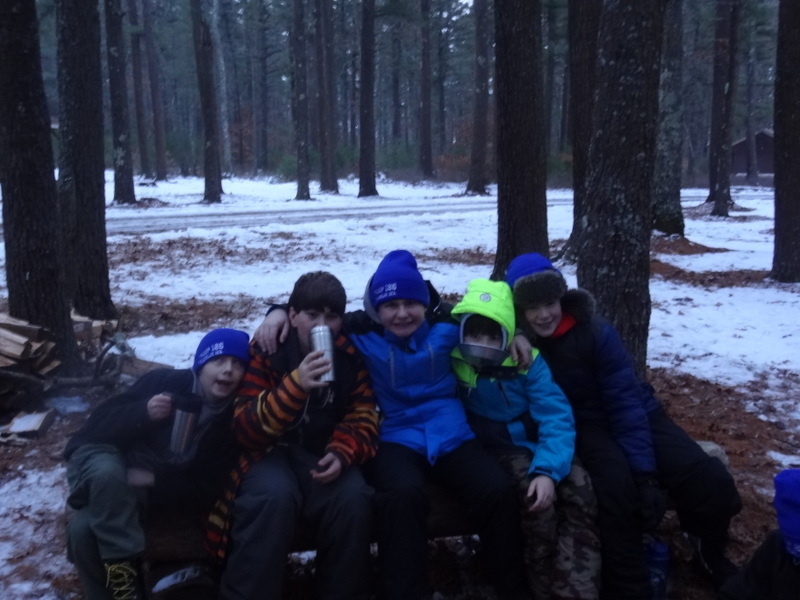 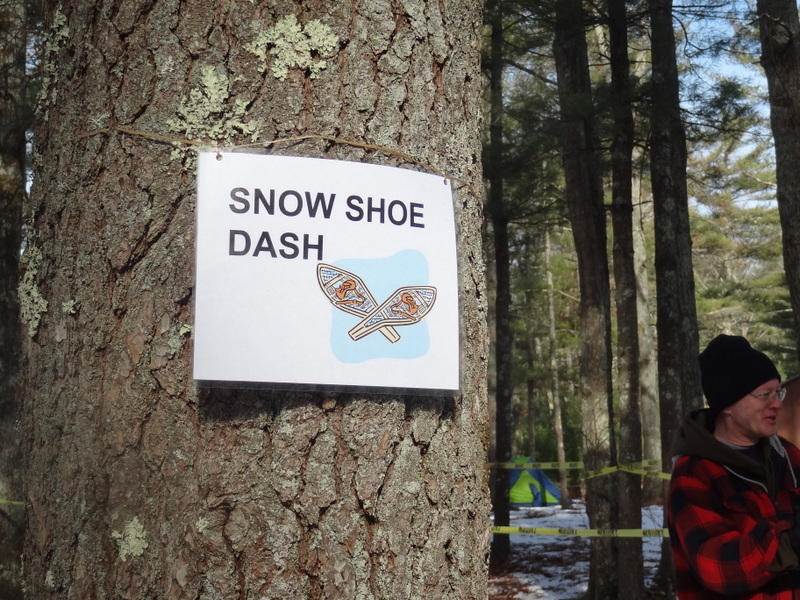 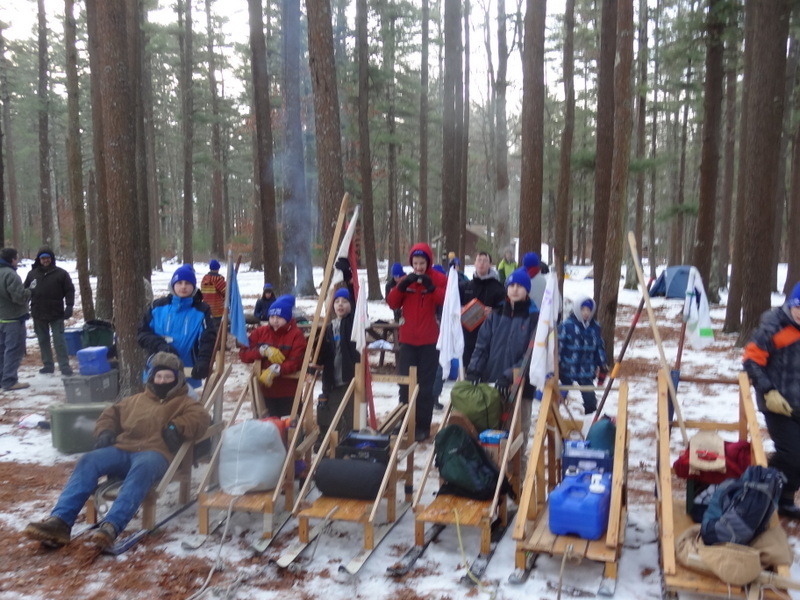 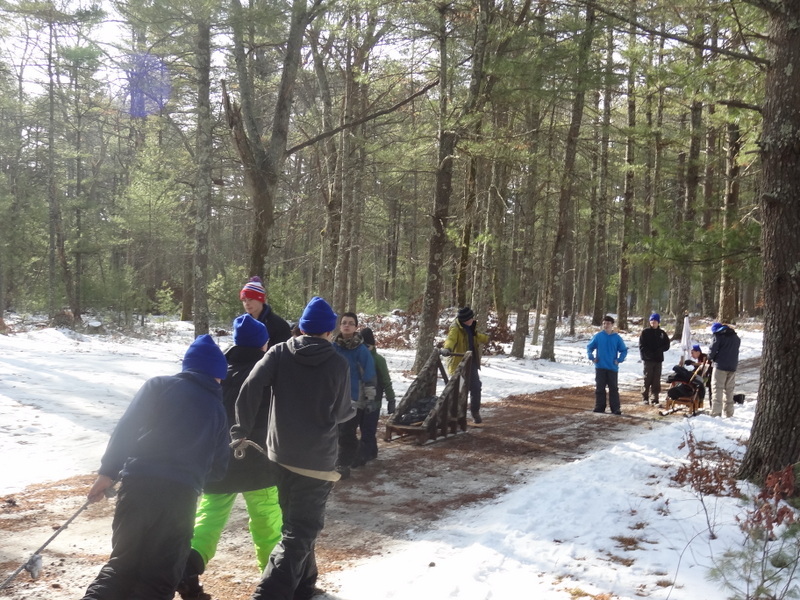 We participated in the annual Klondike Derby at Camp Norse, and had fun pulling our sleds around to the different activities. 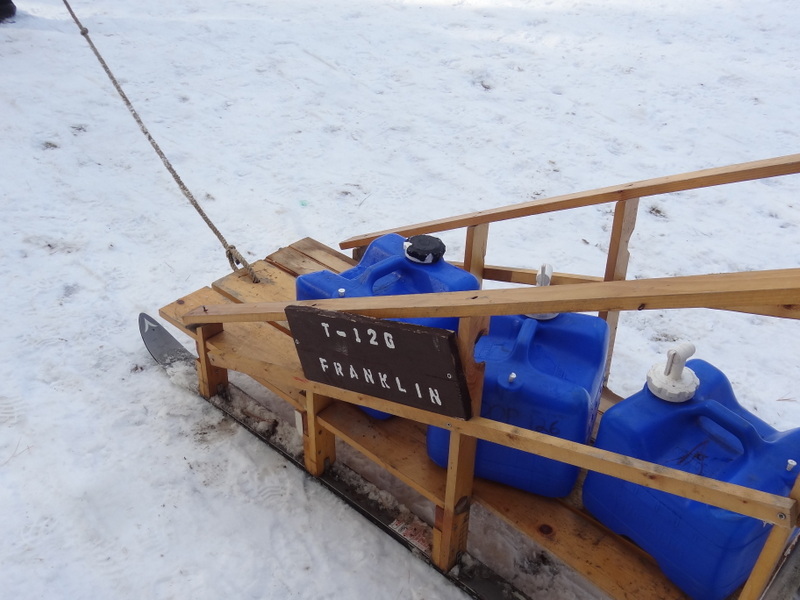 We had 6 sleds in the Klondike this year, 3 of which were over 14 Mountain Man sleds. 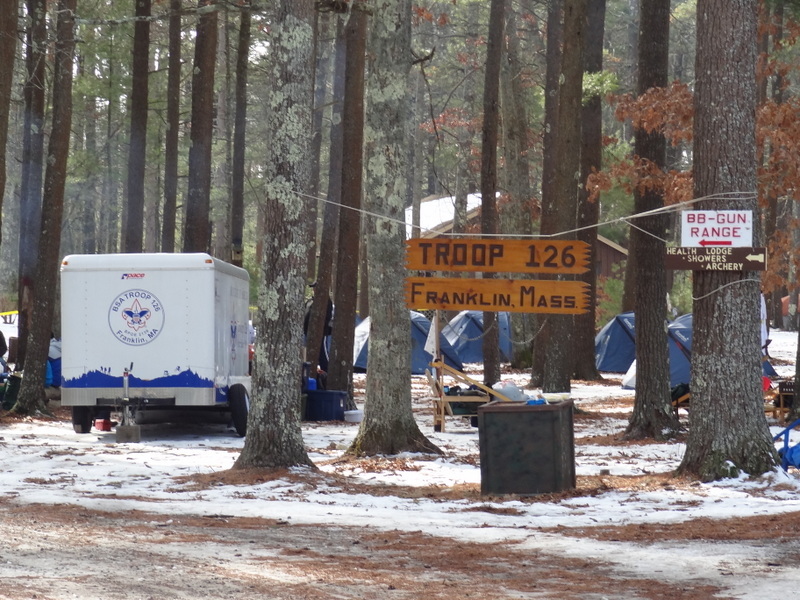 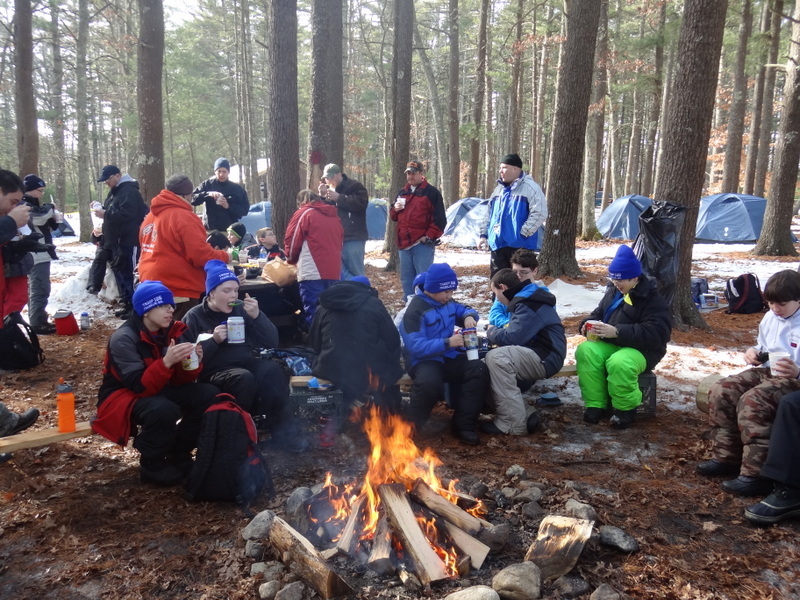 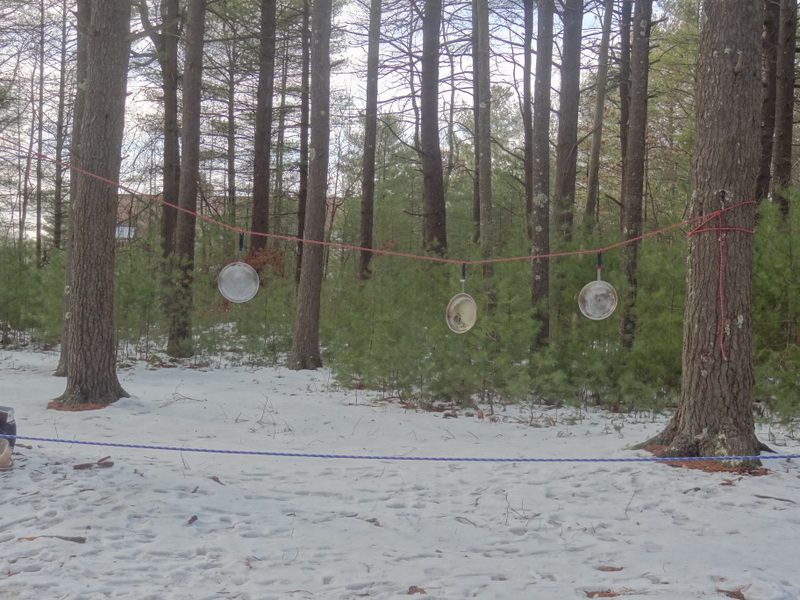 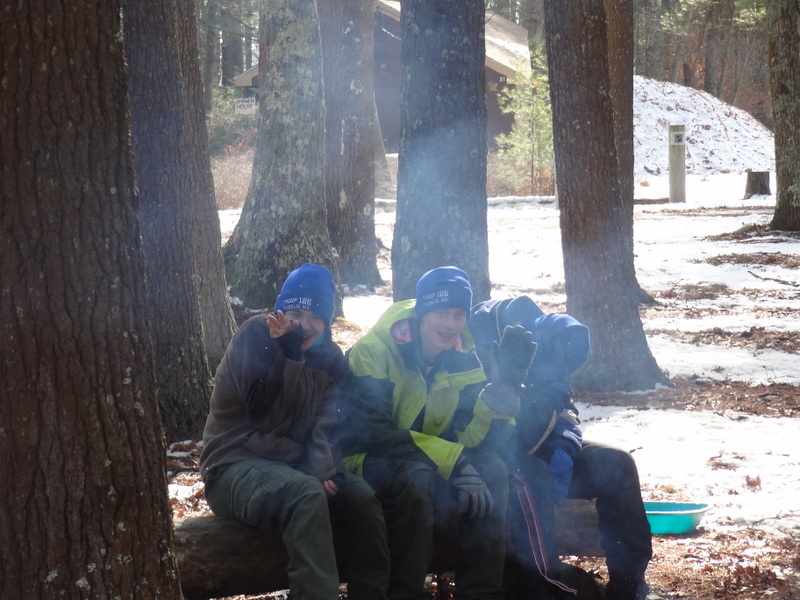 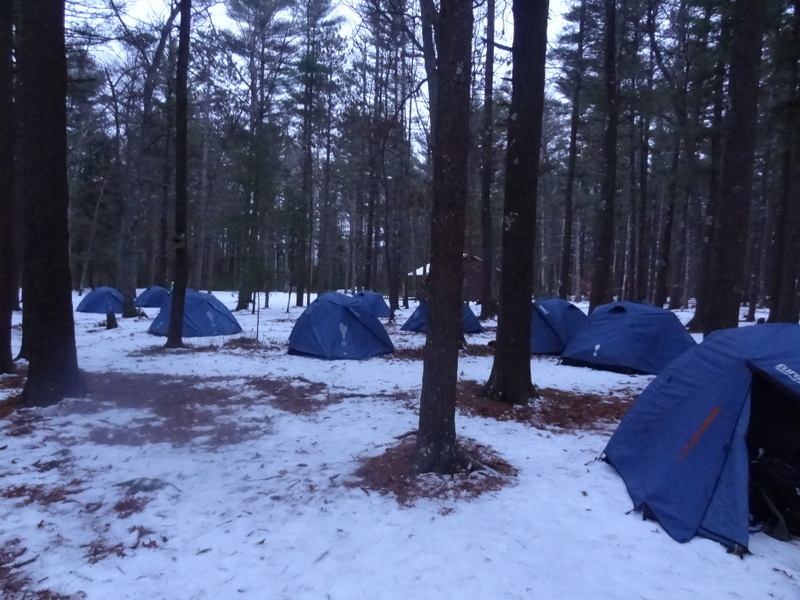 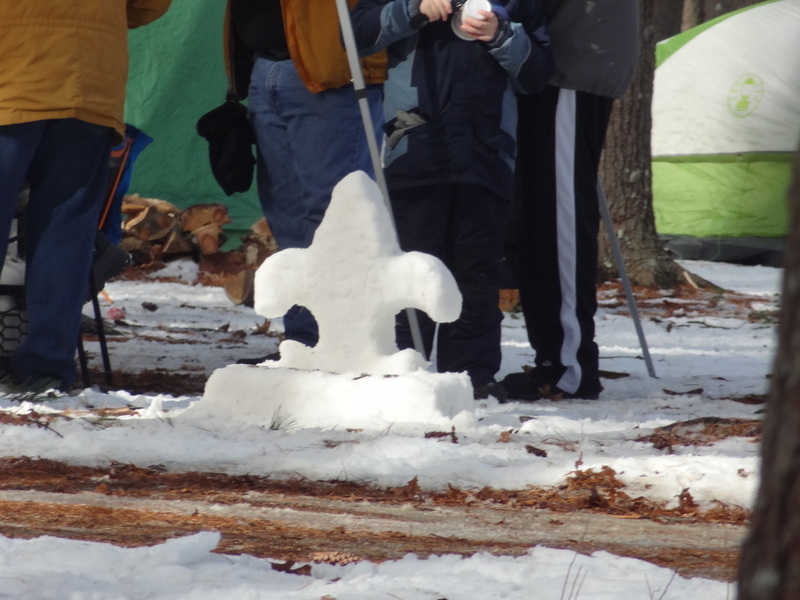 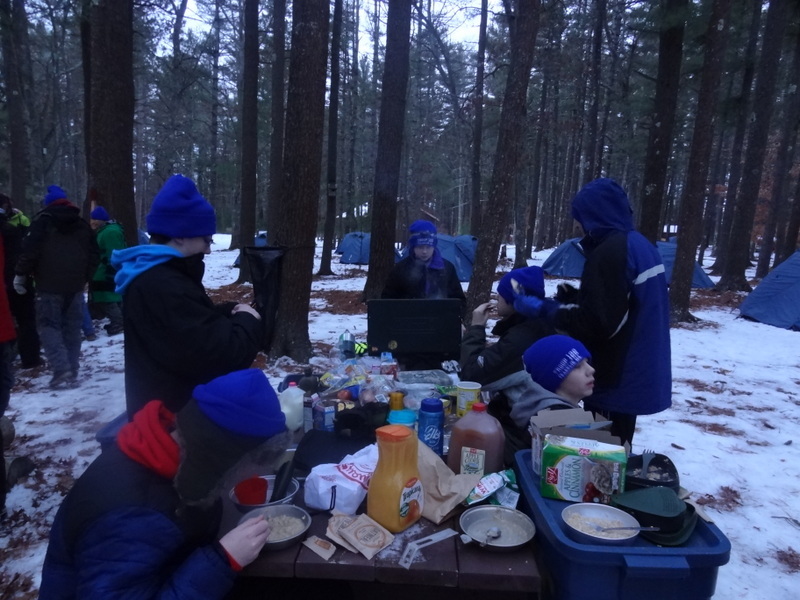 We got to our campsite Friday night and set up our tents on a thin layer of snow. 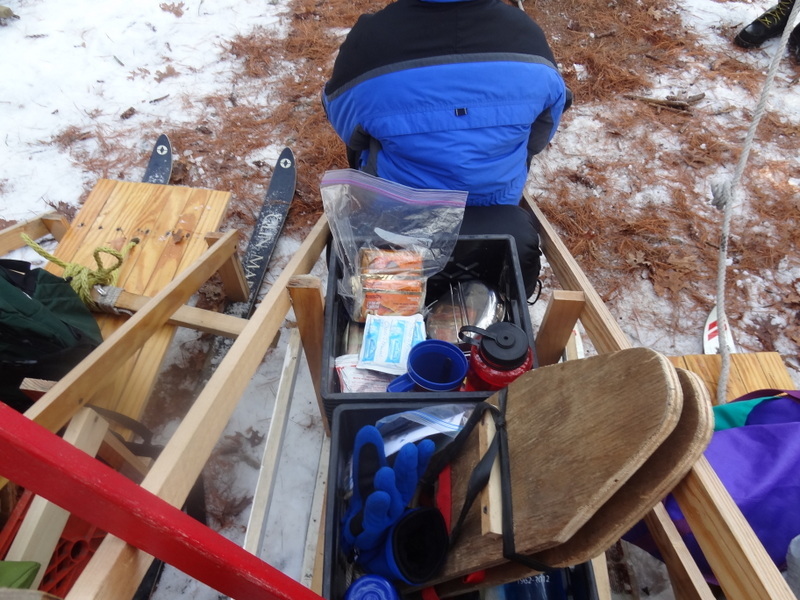 The next day, we got the required supplies loaded on our sleds and started off. 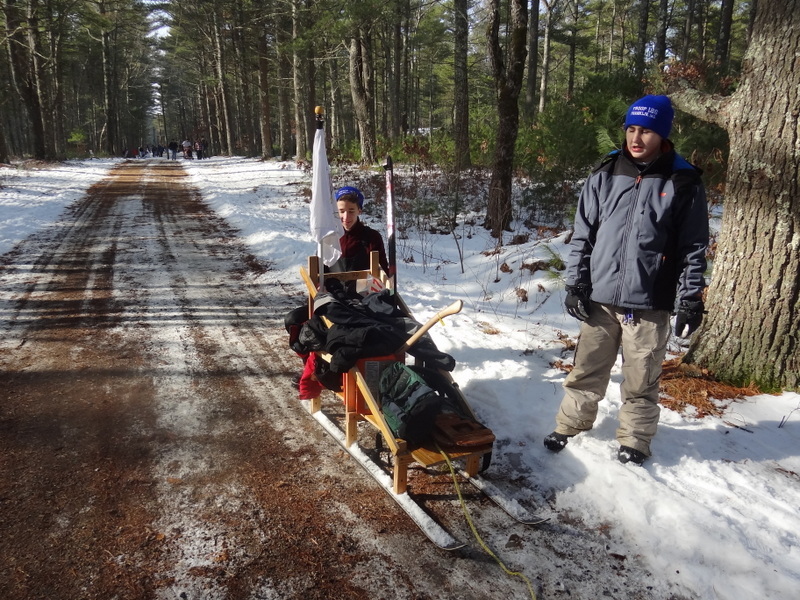 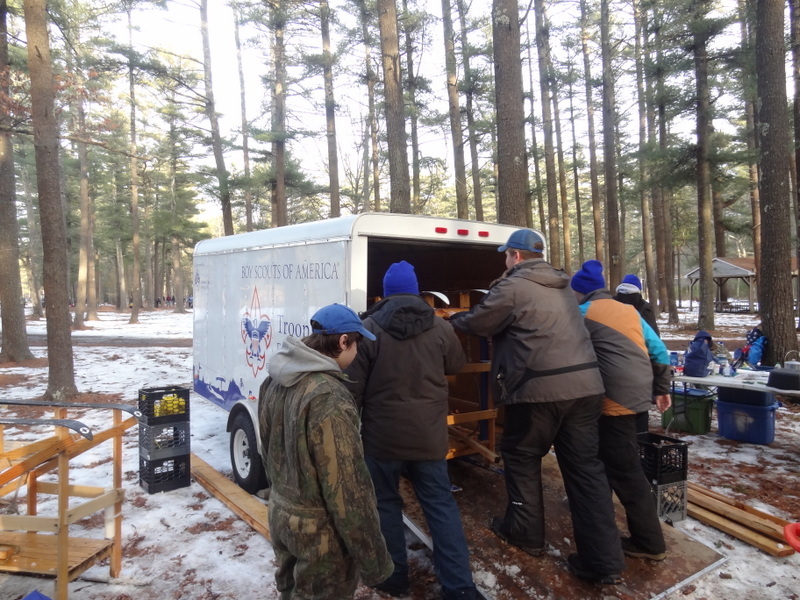 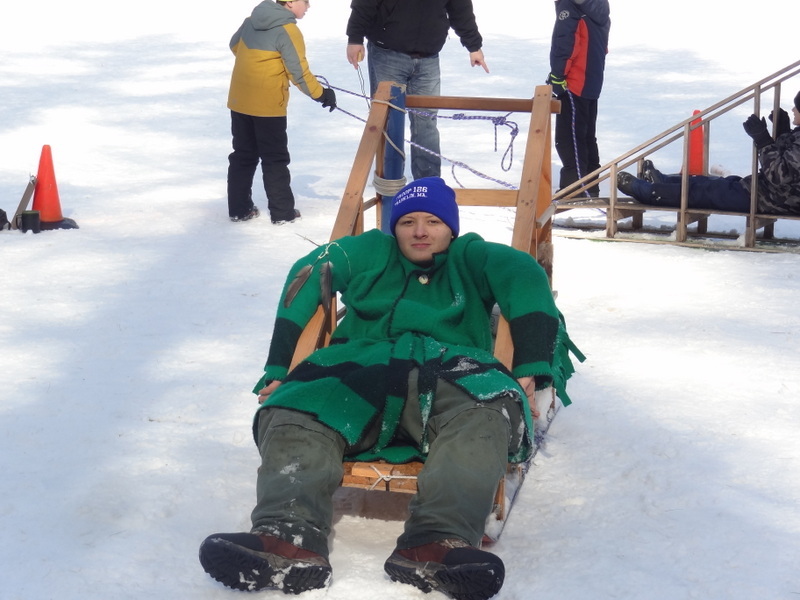 Normal sleds got to participate in events such as snow shoeing, sled races, and slingshot shooting. 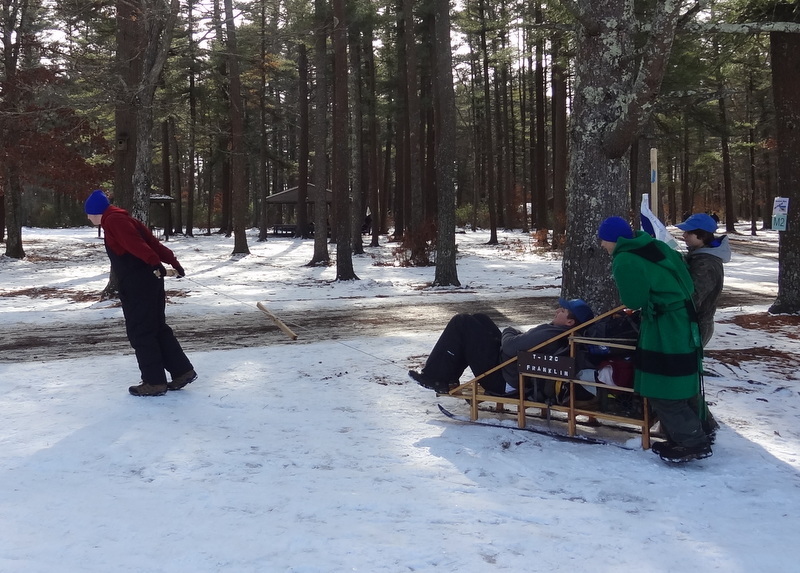 Mountain Man sleds got to shoot shotguns and chop logs, in addition to the other events. 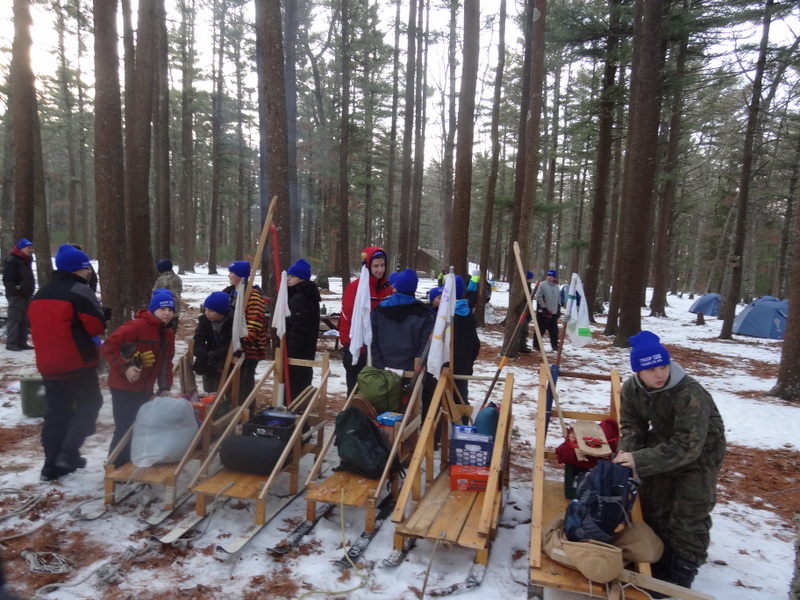 At the end there was an awards ceremony and we placed in several events!